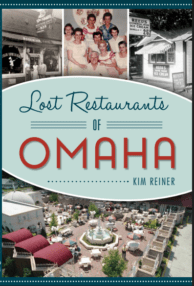 There’s about one more month left in the 2018 Omaha Storm Chaser anniversary season, so let’s talk ballpark food. 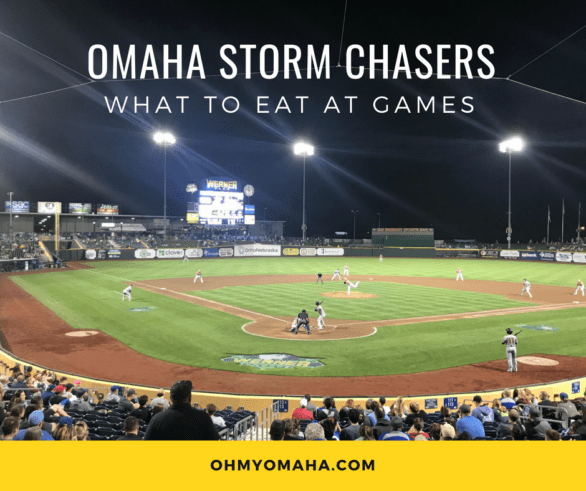 All I want is a bag of peanuts at the game, so, I asked Storm Chaser fans to share their food tips so you know what to try the next time you’re at Werner Park. If you have a favorite food or suggestion, leave a comment and let me know! 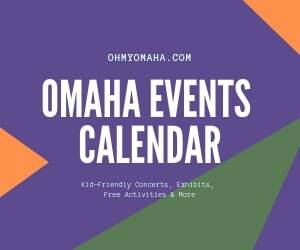 Disclosure: This post is sponsored by Omaha Storm Chasers. Any thoughts, opinions, or typos are my own. My kids are happiest with a bowl of Dippin Dots, and they’re not alone. When I asked about desserts, @RoyalsCollector tweeted that it was what his son always got (along with that Valentino’s slice). “My son loves the huge pretzels and cotton candy. Best dessert I think is the funnel cakes but (my husband) says Dippin Dots,” said Tiffany N. on Facebook. “My son loves making his own green sno-cone with the syrup machine over between 3B & LF,” said Megan S. on Twitter. 50 Cent Tuesday – In honor of the 50th Season in franchise history, five different concessions items are 50 cents each at Tuesday night home games (except Aug. 7), including french fries, small sodas, nachos, peanuts & Uncle Ray’s Potato Chips. Weiner Wednesday – Fans can enjoy full-sized hot dogs for just 25 cents each at Wednesday evening home games. Thirsty Thursday – Not food, but pairs well with it. Enjoy $2 Bud, Bud Light & Busch Light on Thursday home games, in addition to $1 Pepsi Fountain drinks! Bands & Brews – Another drink promotion…Prior to select Saturday home games, fans can enjoy drink specials and live music at the Bud Light Downdraught Bar right after gates open. Peanut Free Night – The Storm Chasers host their annual Peanut Free Night, with a thorough cleaning of the ballpark prior to the evening’s game. No peanut products will be allowed into the park or sold for that night’s game. This year, it’s held on Aug. 1. 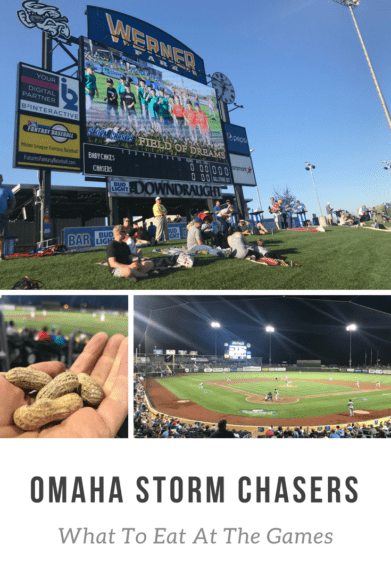 I’ve got more Storm Chasers fan tips here, including their suggestions on parking, getting ticket discounts and what kids can do at the ballpark. Get more posts like this delivered straight to your inbox twice a month. Subscribe to the FREE e-newsletter sharing giveaways, new posts and updates to popular posts like this one! Subscribe here.